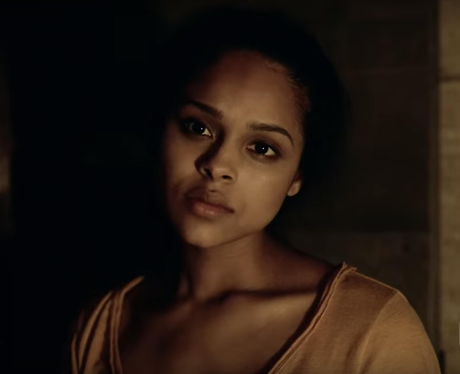 Actress Ash Santos is about to make her mark on Hollywood thanks to her role in the new season of American Horror Story; here's everything you need to know before you start stanning. 1. Who plays Emily in American Horror Story: Apocalypse? Ash plays Emily on American Horror Story, one of the survivors of the Apocalypse who lives in Outpost Three. Ash is one of the new cast members on the show for this season alongside Kyle Allen, Jeffrey Bowyer-Chapman and Dame Joan Collins. 2. How old is Ash Santos? Ash was born on June 9, 1993, making her 25 years old. 3. Does Ash Santos have kids? Yes! Ash has two gorgeous children called Lawson and Logan, who she frequently shares pictures of on her Instagram account. 4. Is Ash Santos married? Yep, Ash is married to Connor Lockwood. 5. Where is Ash Santos from? According to Ash's bio, her father is Dominican and Puerto Rican, and her mother is from the Dominican Republic. She was born in the Bronx, New York and grew up in Montgomery, NY. Ash appeared in the series 'Relationship Status' alongside 'The Vampire Diaries’ Kristen Gutoskie. Ash played the role of Charlotte and was in in the show for four episodes. The show also starred - and is executive produced by - Milo Ventimiglia. 7. Is Ash Santos on Instagram? Yep - you can find Ash at @ashmsantos. 8. Ash has appeared in various movies over the past 3 years. Ash has made appearances in Lifetime's Fatherly Obsession (The Landlord), Mythica: The Iron Crown, Thirst and Once I Was A Beehive. 9. Ash Santos has starred in a bunch of Christmas movies that you've probably seen too. Ash has starred in numerous Christmas movies including Wrapped Up In Christmas with Tatyana Ali and Broadcasting Christmas alongside Melissa Joan Hart and Dean Cain.